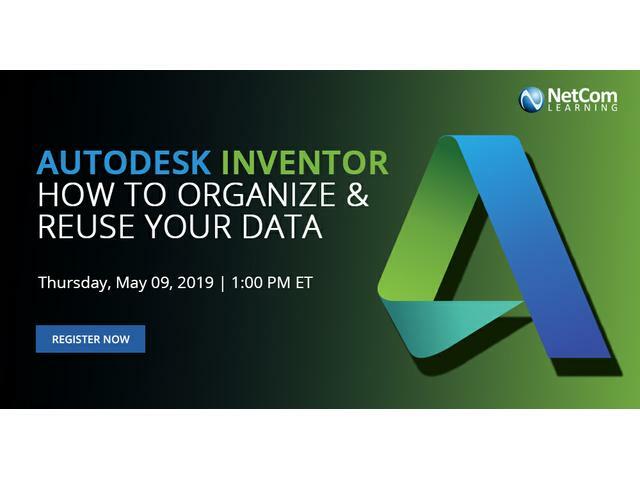 Description: Join NetCom Learning trainer along with Managed Learning Services leader NetCom Learning for a complimentary & interactive event on "Autodesk Inventor: How to Organize and Reuse Your Data". Did you know you can make better use of Autodesk Inventor and reduce the amount of time it takes to create new designs? Learn how to better organize and reuse your data to maximize your time and investment! In this free session you will learn how to configure Inventor’s project files, templates and libraries; strategies for filing; and most importantly how to reuse your old files to create new. Event has been viewed (31) times.